Based on field visit reports from Mary Dailey Brown. Edited by Bonnie Conley & Amy Lindholm. 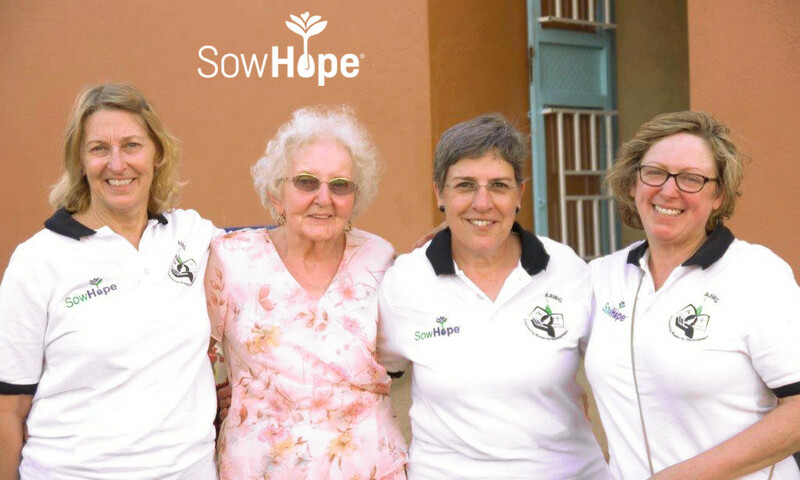 Visitors from the U.S. attending the Ugandan birthing clinic dedication (from left to right): Dr. Pam, Mary Joy, Mary Dailey Brown, and Pat. It is just amazing to walk around their village and fields and see so much development. Wow! There is a new road, built by the government, leading to the village where the birthing clinic is located! It used to take about an hour and a half to get to the village from where we stay, but now it only takes about 20 minutes! I’ll just share one story. The all-day dedication of the birthing center started out with an Anglican mass. Isaac (the local leader SowHope partners with in the area) had made some t-shirts with their logo and the SowHope logo on them. Many women purchased t-shirts and were wearing them. I was looking at the crowd during the mass and noticed that Catherine, the mid-wife, had left the meeting. I figured she was over helping with the cooking – she cannot sit still for very long – and it was a long mass! After the mass, there was a ribbon cutting ceremony at the front door of the clinic. Then Isaac invited all the women to take the first tour of the inside of the clinic. He went through each room and described how it would be used. The front hall would have benches for a waiting area for prenatal care. The next room would be for women in labor and to deliver. The last room was for recovery, and as he was describing how they would take really good care of the women, Catherine, the midwife, walked through the crowd with a huge smile, holding a new-born baby. Someone had come and gotten her during the meeting and taken her on a motorcycle to the bush, where one of the ladies who was on her way to the meeting had to stop because she went into labor. Catherine delivered the baby boy in the field and they came directly to the new birthing center and interrupted Isaac. Everyone cheered and the woman laid down on the bed with her new baby. 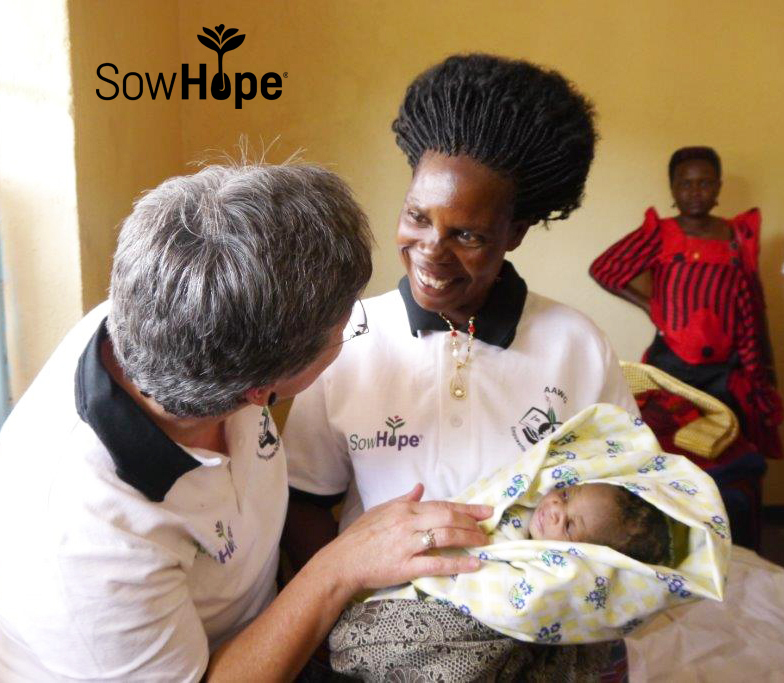 Mary Dailey Brown (left) meets the baby delivered in the bush by the new birthing clinic’s midwife, Catherine (holding baby). I told Dr. Pam that if this story was in a movie, everyone would say “Oh, c’mon that’s impossible!” Haha! It was so joyful and wonderful! The mother let Mary Joy name the baby since she was the one who first suggested they needed a better birthing center. Her church in Pennsylvania raised most of the money to fund the center. She is 86 (and lively! ), and she was there for the dedication with her friend. She named the baby Stephen. 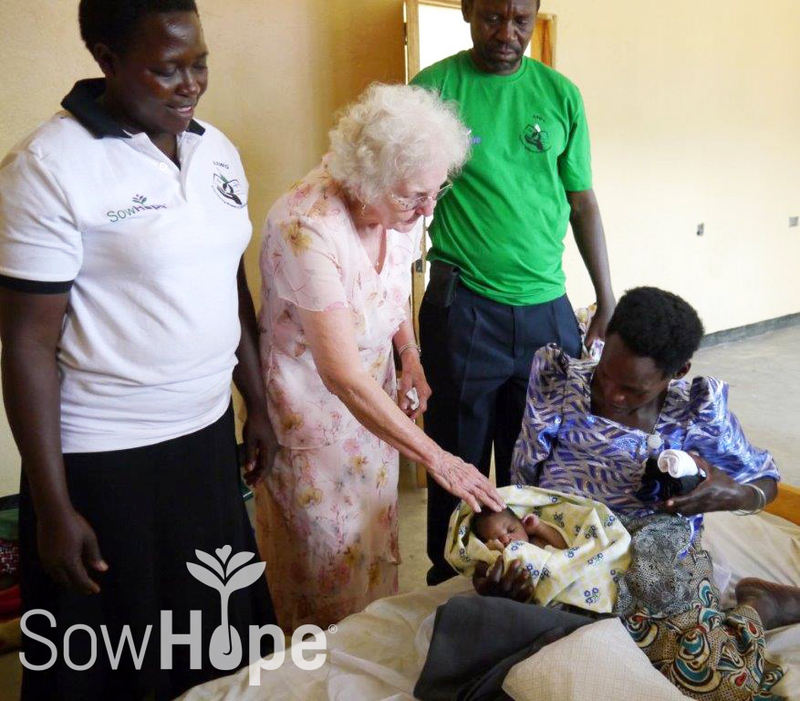 Mary Joy (center), a significant donor and advocate of the birthing clinic project, names the new-born baby Stephen. 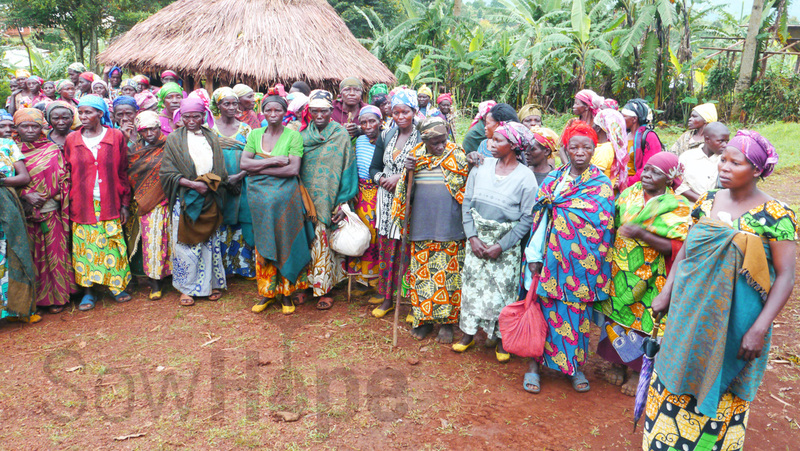 We have truly witnessed the transformation and development of this community in Uganda over the years. To support future development efforts like these, make a donation today. Consider this: the women involved in microfinance groups in this instance typically receive a $50 microloan to start a small business, and this has triggered the rest of the community’s development. This has meant benefits like mothers now able to pay school fees and educate a generation of children in their community. How many women can you help with this boost that grants them participation in their local economy? And don’t forget to like this article and share with your friends on social media! What a wonderful accounting of the birthing center! Loved seeing the new baby and Joseph and Speranza! This is such a wonderful thing, the new birthing center!